Soph had a 10 mile run this morning, and I’ve… cleaned out the kitchen sink’s u-bend. So we’re looking for a brunch that is both a good recovery meal, and a nice treat for me as a reward. 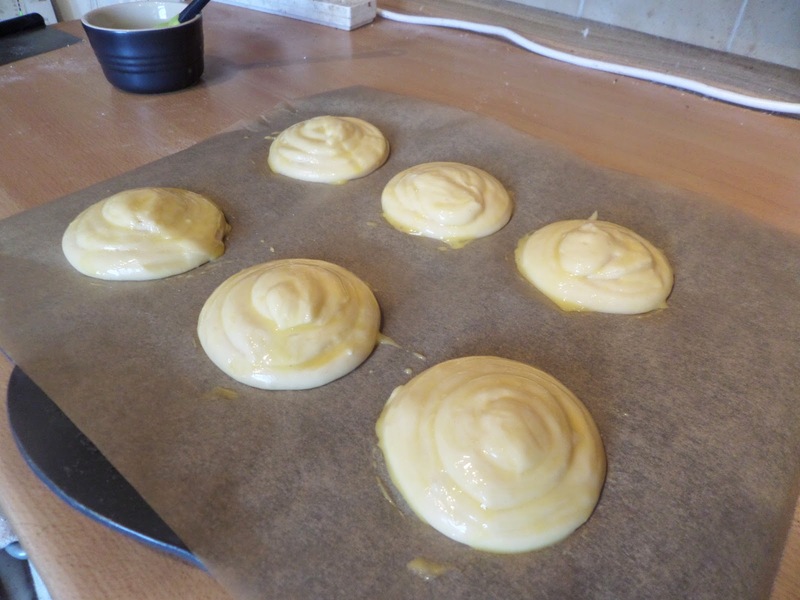 I’ve been looking for an excuse to make choux buns again ever since I did them with scrambled egg. That excuse came along while watching Masterchef this week when someone did mackerel with horseradish & dill, with pickled beetroot. 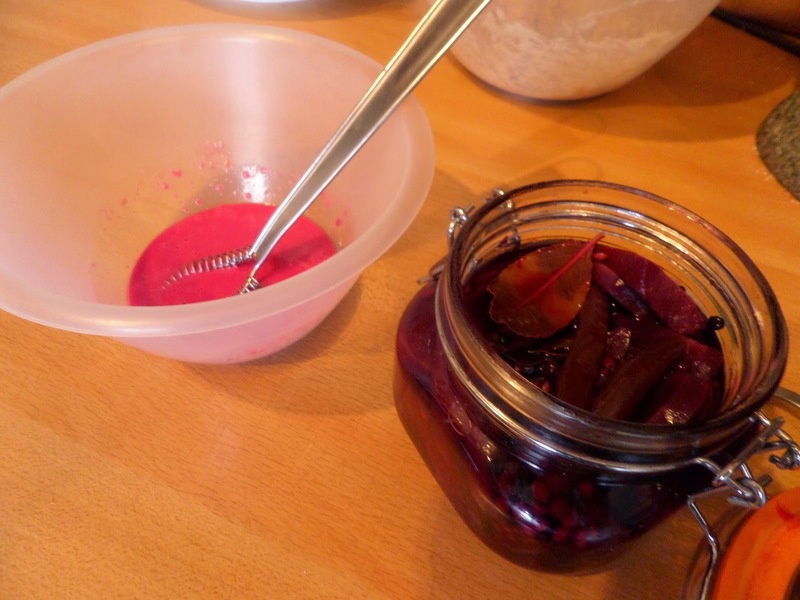 We have homemade pickled beetroot. We like mackerel and horseradish. We have a plan! 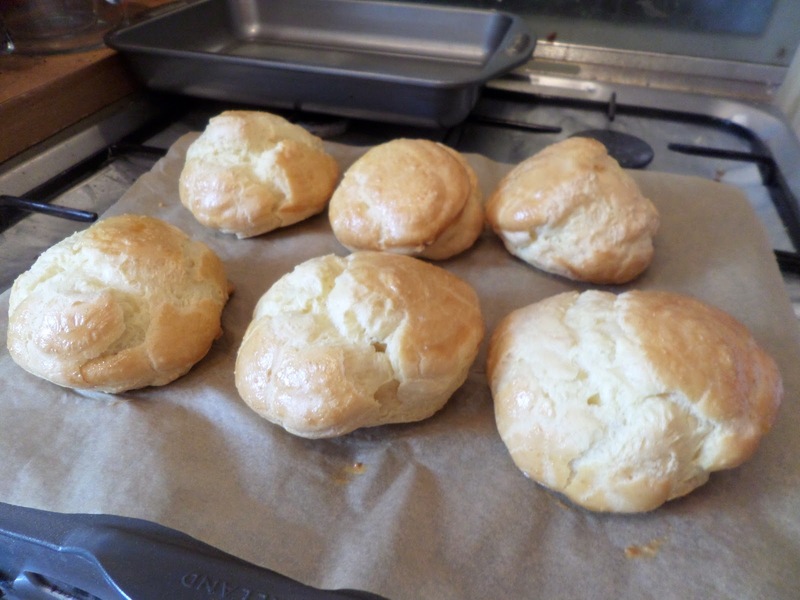 For the choux I’m following Leith’s baking bible. And using the hand mixer to mix in the eggs, as I’ve already done 30 minutes resistance this morning and don’t need another work out! Once made and egg glazed they go in a 180C fan oven for 30 minutes. 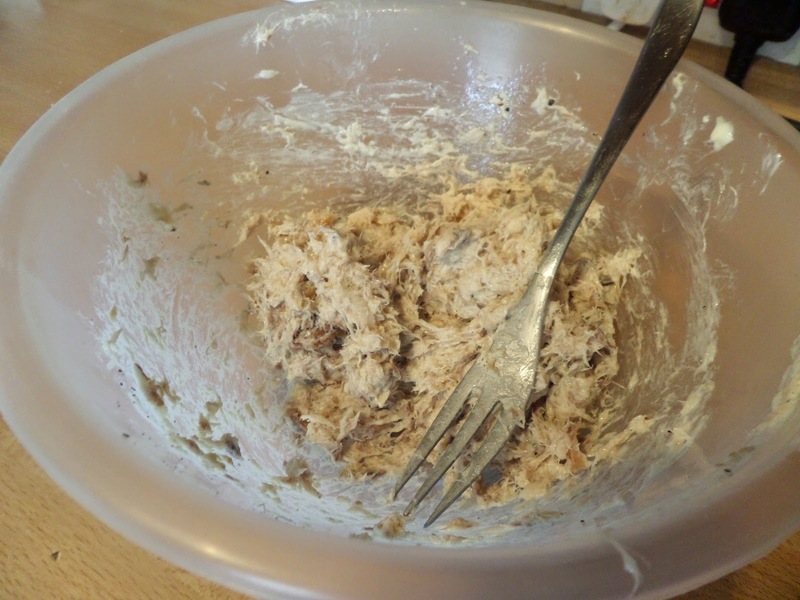 While they’re in the oven I make the mackerel, horseradish and mayo mix. For the salad dressing I’m using vinegar from the pickled beetroot, along with Dijon mustard and extra virgin olive oil. After 30 minutes the buns get a hole poked in them bottom, and they go back in the oven for five minutes. To be honest they weren’t quite done. The ones in the hot part of the oven (the back right) were just done, but the others were rather soggy. Next time: rotate the tray after 20 minutes, and cook for five minutes longer. Also let stand longer before cutting the tops off. Thankfully we had two mostly crispy buns each, filled with delicious mackerel and horseradish, along with the beetroot salad. Exactly the brunch we needed! 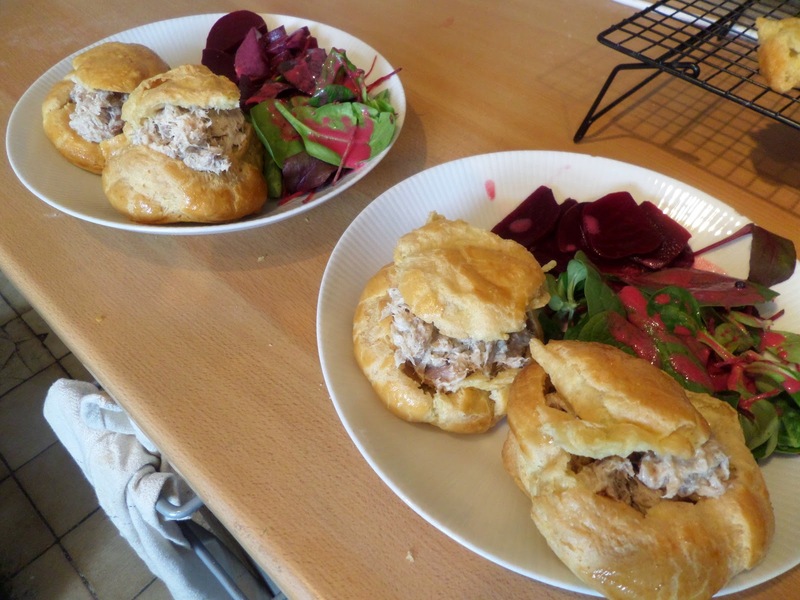 Choux buns I’ve made in the past were never a great success so well done for succeeding with your mackerel ones.